Kia revealed this week that the Niro EV electric tested in excess of 300 miles on a battery with a full charge. That’s big news and a feather in the cap of both Kia and Hyundai, which is Kia’s partner in electric vehicle development. Such electric efficiency is another step toward EV mass viability, which industry experts set at 400 miles on a charge. With a mere 64-kWh worth of battery on board, no one expected the Niro to approach 300 miles. Officially, the Niro will be rated right at 301 miles. At press time, it’s EPA rating was not yet publically available. By comparison, the Hyundai Kona EV is expected to rate at 300 miles under the Worldwide Harmonised Light Vehicle Test Procedure (WLTP). However, it’s listed at 292 right now. The Niro may only trump it by one mile, but that one mile is a psychological win for Kia. The U.S. version of the 2019 Kona Electric offers impressive numbers, as well. The Environmental Protection Agency rates its range at 258 miles. So, we can figure a mile more for the U.S. Niro EV when the EPA finishes its testing procedures. If it indeed clocks in at 259 miles, Kia’s Niro is the top range EV for sale here that isn’t named Tesla. 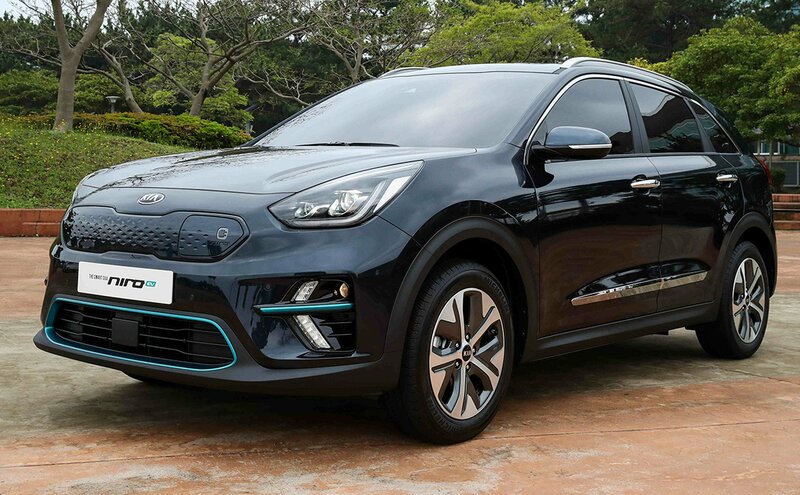 We expect the Niro EV to arrive at our shores by April 2019 at the latest. It will debut at the 2018 Paris Motor Show and be on sale in Europe by December of this year. The 64-kWh Niro EV can charge to 80% from empty in 54 minutes and can go 0-60 in 7.7 seconds. Kia has yet to publish full pricing info for the Niro EV.